New Haven Paving specializes in parking lot sealcoating and repairs throughout New Haven, CT, and the surrounding areas. Our paving contractors are licensed, bonded, and repaired. Our top rated team provides experienced, efficient, and affordably priced parking lot services to commercial and residential clients. We are fast, reliable, and always friendly. If you need your parking lot sealcoated or repaired, you can count on our paving company to do the job. Parking lot repairs are our specialty. You have paid so much to have a parking lot paved for your property, shouldn’t you maintain that approach with repairs? We make sure that your parking lot’s asphalt is free of damage and looks its best. Rely on us for all your parking lot repairs. Potholes are deadly to your asphalt. If you don’t repair them, they can continue to grow and cause serious issues. Our team at New Haven Paving will eliminate your potholes quickly. 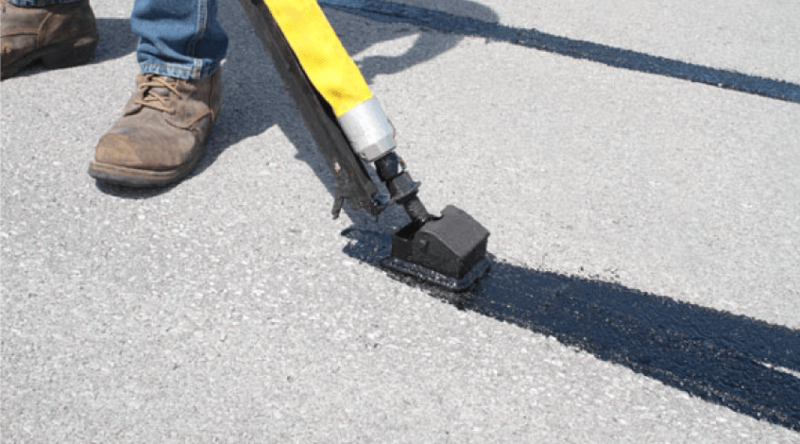 We patch your potholes quickly and ensure your parking lot looks great. Cracks in your parking lot can lead to similar issues. Cracks are typically caused by water penetration during the winter and colder months which then freezes and cracks your asphalt. Whether you have minor cracks or major ones, we will repair them fast. Patching is another service we provide. 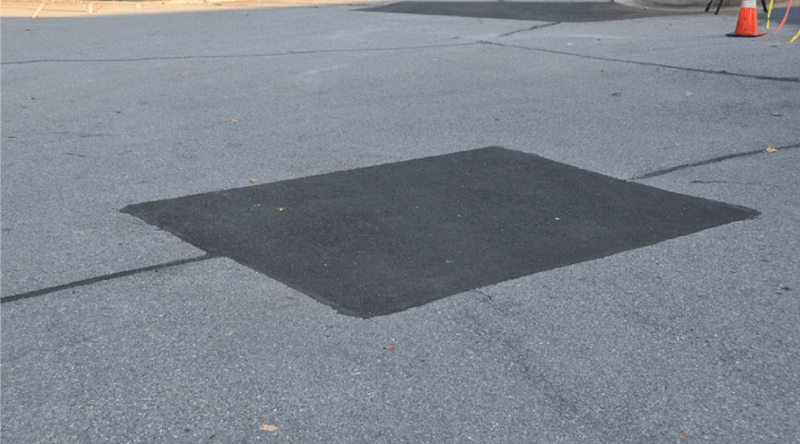 Patching can repair your parking lot quickly without too much disruption in your parking lot flow. Give us a call to learn more about our parking lot asphalt patching services. At New Haven Paving, we are passionate about giving you the best parking lot repairs. Your parking lot is a direct reflection of your business. Our job is to make your business or property its best. We do that by lasering in on any repairs that are needed and quickly repair them. Simply contact us for a free paving repair estimate. New Haven Paving also offers high quality parking lot sealcoating services throughout New Haven, CT. If you’re looking for a paving company that offers parking lot sealcoating, look no further than us. Our prices are affordable and our team is top rated. Check out our reviews! Here’s what our sealcoating services entail. 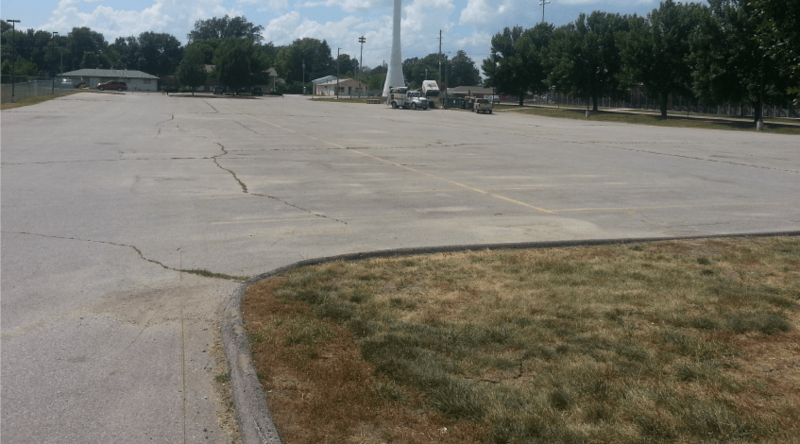 First, we evaluate your parking lot to see what condition it is in. We look for cracks, potholes, stains, and other damage. This allows us to see if sealcoating is appropriate. Once we evaluate, we then clean the surface of any debris or dirt. This involves using power washers and brooms. Even the potholes and cracks also need to be cleaned. Next, we repair the cracks and potholes in your parking lot to ensure the asphalt looks great and lasts a longer period of time. We repair everything to get your parking lot nearly like brand new. We apply sealcoating to the newly repaired asphalt with at least two applications. This penetrates deep within your asphalt to give it all the protection your asphalt needs. At New Haven Paving, you can turn to us for a premium parking lot repairs and sealcoating throughout New Haven. For top rated asphalt parking lot services, reach out to us for a free estimate. We’ll give you a fair price.